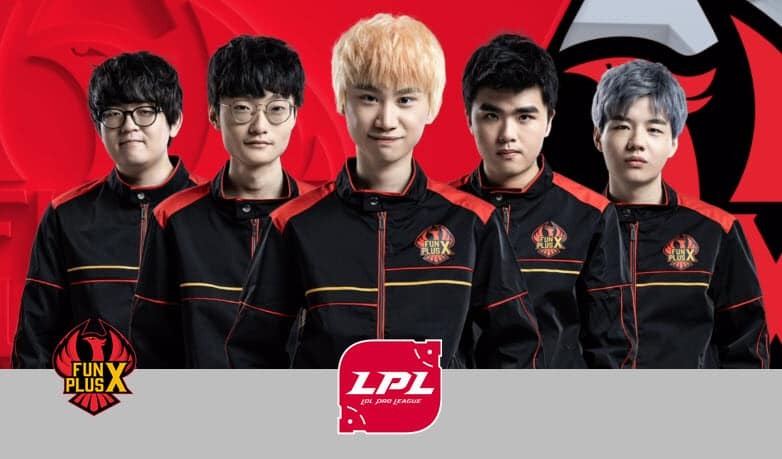 The third week of the 2019 LPL spring split is in the books as the teams head into the Chinese New Year break. After seeing its winning streak come to an end, Invictus Gaming swept a disappointing Snake Esports that now has the second worst campaign of the split. 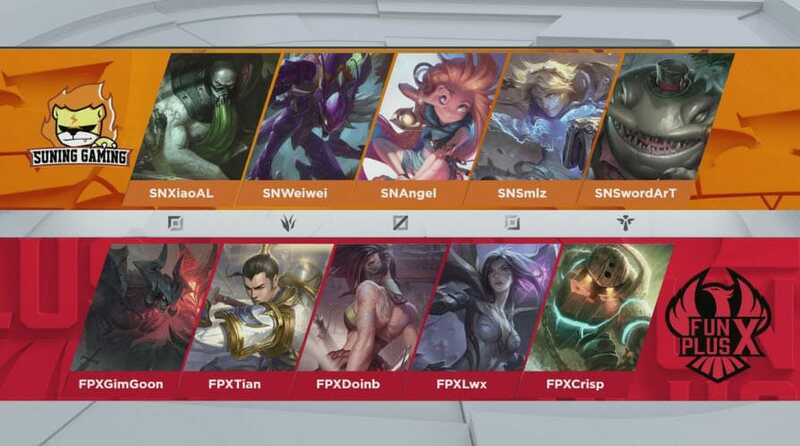 On the other end of the table, FunPlus Phoenix and Suning Gaming faced off in a clash featuring the two remaining undefeated teams. FPX came back from a game 1 loss and handled the superteam its first loss of the split while securing the first place in the standings. Jungler Lê “SofM” Quang Duy (Lee Sin) had a very strong early game, first by winning a skirmish against 2018 World Championship Finals MVP Gao “Ning” Zhen-Ning (Xin Zhao) for the Rift Scuttler and then setting up two successful top lane ganks. Snake however failed to turn the kills into any major objectives, as the team actually lost control over an Infernal drake that ultimately went to Invictus. IG turned that into a win condition by adding a second Infernal buff while completely taking control over the bottom side of the map. The first turret along with the bonus gold also went IG’s way. Snake’s good moment came to a definitive end as mid laner Yang “Mala” Hyeon-jong (Lissandra) overextended while trying to push a top lane wave. Invictus AD carry Yu “JackeyLove” Wen-Bo (Xayah) got a solo kill. Support Hu “Maestro” Jian-Xin (Tahm Kench) used his Ultimate to bring SofM along, trying to take JackeyLove out. Maestro even burned a Flash while trying to force an engage under the turret, but it all went horribly wrong as IG immediately collapsed onto the pairing and JackeyLove added a second kill to his count. 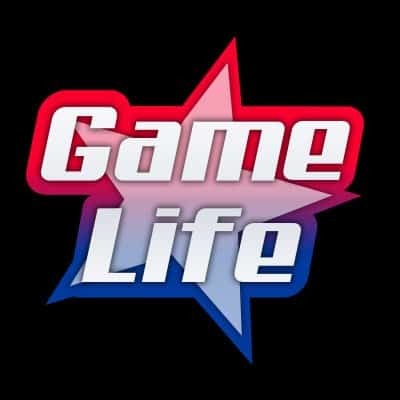 The reigning world champions dominated the map as Snake tried to find pickoffs. It allowed Invictus to go for a Baron call at the 25 minute mark. Without any vision around the pit, the Snake players were forced into face-checking. Support Wang “Baolan” Liu-Yi (Rakan) hit a perfect engage to catch them off-guard as IG secured three kills. IG turned that into an open inhibitor and backed off to set up a final push. With another three kills, Invictus created the space it needed to destroy the Nexus and take game 1. SofM (Aatrox) had another aggressive start, going for an early dive on IG’s bottom lane turret with some help from Maestro (Alistar) and AD carry Lu “Asura” Qi (Kai’Sa). Snake’s jungler secured a double kill as the team once again got off to a better start than their opponents. IG conceded its bottom lane as JackeyLove (Xayah) and Baolan (Rakan) decided to roam and get an advantage somewhere else. The strategy didn’t quite work, and this time around Snake had the control over the map, taking the three outer towers on Invictus’ side. A good Teleport by top laner Kang “TheShy” Seung-lok (Urgot) turned things around. IG closed their opponents down as Baolan and TheShy found a good engage. With a perfect flank from Ning (Camille), the reigning world champions scored an ace and went for Baron only 21 minutes into the game. 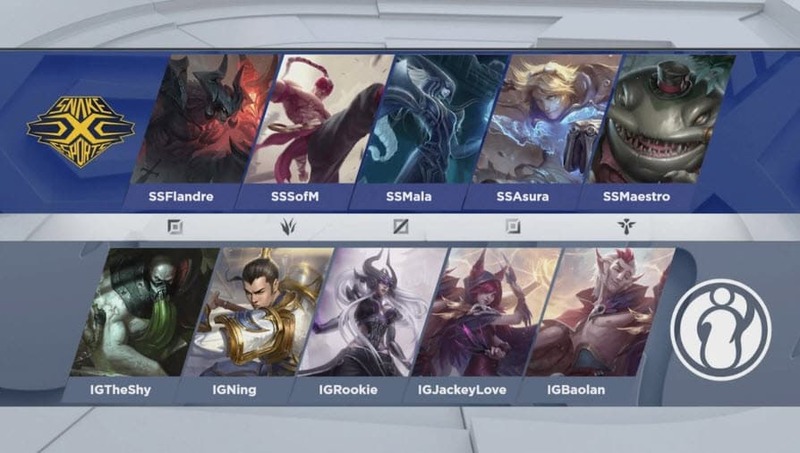 SS stood its ground and managed to drive IG back for a moment with kills on Song “Rookie” Eui-jin and Ning as the team pushed for a mid lane inhibitor. Even down two members, IG pressed on. Maestro messed up a combo while going for the engage and Invictus secured two kills as well as the inhibitor. IG opened a second inhibitor in the bottom lane and headed to the Baron pit. Snake made it in time to contest the execution and a teamfight broke out. IG ultimately won with Ning, Rookie and JackeyLove still left on its side. As Ning and Rookie completed the ace, IG’s AD carry went for the game and closed the series with a 29 minute win in the second match. The LPL schedule is out, but as fate would have it, the final series before the New Year break would also decide the top spot in the standings. Suning Gaming and FunPlus Phoenix, the only teams still undefeated, would face off. As top laners Xie “XiaoAL” Zhen-Ying (Urgot) and Kim “GimGoon” Han-saem (Aatrox) went for an early trade, Suning’s jungler Wei “Weiwei” Bo-Han (Kha’Zix) came in undetected and secured the first kill by taking GimGoon down. Suning also secured the first turret and built an early lead. As the match transitioned into the mid game, however, FPX, on the back of some well-executed rotations, slowly came back into the frame and even took the gold lead. It all went downhill when SN picked off Lin “Lwx” Wei-Xiang (Kai’Sa) as the FPX AD carry was farming in the mid lane all by himself. Suning added a second kill on mid laner Kim “Doinb” Tae-sang (Akali) and forced a Baron execution. FPX jungler Gao “Tian” Tian-Liang (Xin Zhao) stole the objective, but the remaining three players were all chased down as SN scored the ace. Suning couldn’t do much without the buff and had to content itself with pushing the lanes in. FPX went for an engage around the bottom side of the river but the fight went SN’s way as the superteam scored yet another ace. This time, even without a jungler, Suning secured the buff and used it to open the mid lane inhibitor. As FunPlus forced another fight while trying to defend from SN’s push, Weiwei made a beautiful play and sneaked behind FPX’s backline, bursting down Lwx for a successful assassination. Suning scored its third ace of the game and ended the game as the death timers on their opponent’s side expired. Committing a Teleport from Doinb (Sion), FPX secured the first blood as Lwx took down Suning’s support Hu “SwordArT” Shuo-Chieh (Tahm Kench). Suning had a great early game, winning the constant fights started by the two teams to build a solid gold lead. Crucially, though, the team did not turn that advantage into any major objectives while FunPlus Phoenix secured two elemental drakes as well as two turrets. As Suning finally turned its lead into objectives around the map, FPX made a risky call and went for Baron as soon as it spawned, just over the 20 minute mark. The team managed to complete the execution but went for an unnecessary engage, which resulted in Doinb being the only one left with the buff. The fights continued all across the map, with Suning usually coming out on top. FPX finally found its teamfight with a pikcoff on XiaoAL, following that with two more kills and the Baron buff. FunPlus pushed in and secured two inhibitors. As the team tried to end the game, XiaoAL put up an amazing defense and forced FPX back. FunPlus secured the second Baron and went for another push. With a quadra kill by Lwx, finally destroyed the Nexus to force game 3. FPX shifted gears and had an aggressive start, committing three players to a top lane dive only four minutes in as Doinb (Urgot) secured the first blood. XiaoAL became the primary focus as FunPlus tried to snowball that early advantage while exploiting his pick’s, Gangplank, weak laning phase. It worked very well as GimGoon held an incredible 50 CS lead less than 10 minutes in as his team destroyed the top lane outer turret. 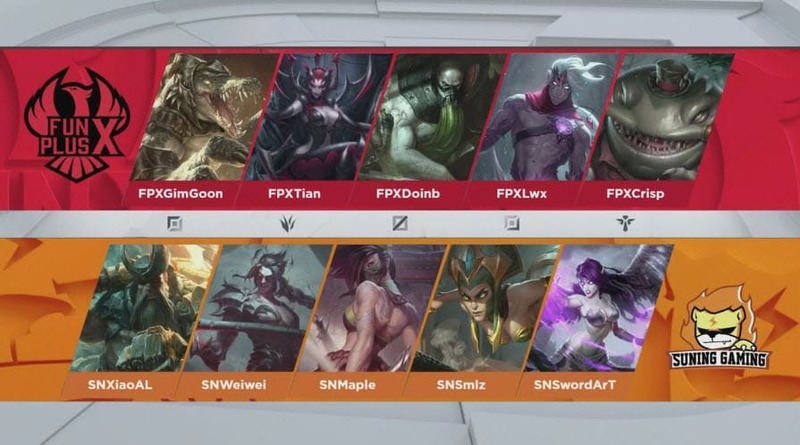 The teams traded Infernal drakes as Lwx stole the first one with a snipe and Weiwei secured a Smite steal for Suning. Just like in game 2, FunPlus sneaked a Baron execution as soon as it spawned. SN realizes it in time to contest the call, but FPX ignored the objective and went for the engage instead. The team won the fight, but its members did not have enough left to restart the objective. As both teams danced around the Baron, Suning were the ones to finally secure the buff almost 40 minutes into the game. The superteam couldn’t do much with it other than reset the map, as FPX sat significantly ahead. The decisive moment came with a teamfight as FunPlus secured the Elder dragon. Using the additional damage from the buff, FPX went for the fight and came out on top with a clean ace. It then rushed into Suning’s base from the mid lane to handle the superteam its first defeat of the split.